There are a few things you can count on each year in San Carlos: (1) We will have a budget shortfall; (2) We will have a lack of playable fields for sporting events; (3) We will wonder why San Carlos High School ever closed; and finally (4) Eucalyptus Avenue will become Kiddie Mardi Gras on Halloween. Unless you’ve been living under a rock for the last ten years, Eucalyptus is the place to be in San Carlos on Halloween. The street is entirely shut down. Tradition has seen safety patrols run by present and past city council members. The 1900 Block picks up a majority of the action. From professional disco dancers to extreme haunted houses, Eucalyptus delivers year after year. Within the confines of the street boundaries are hundreds, if not thousands of people making their way along San Carlos’ most famous holiday street. The rock concert-like atmosphere is felt by all. Kids by the masses lug sacks of candy from house to house. On the adult side, there are enough red cups to re-create the pyramids at Giza. 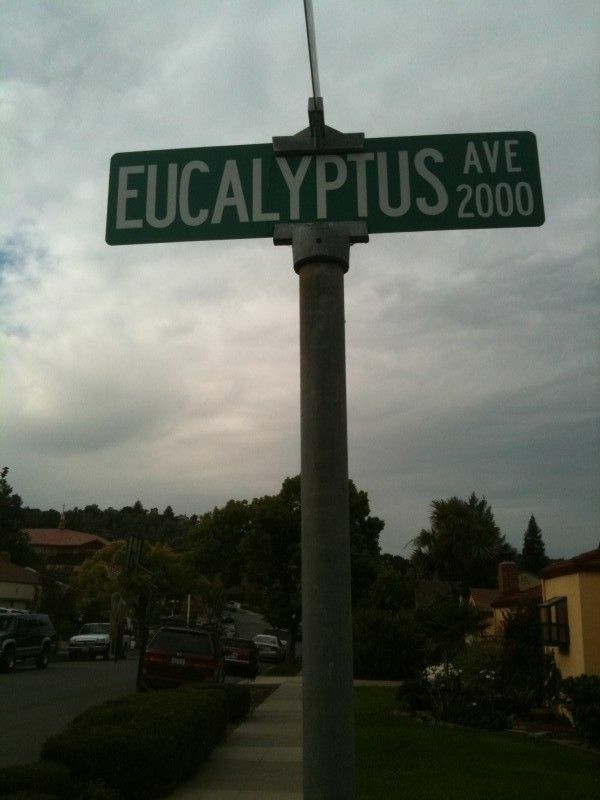 Each year rumors seem to go around regarding the ability of Eucalyptus Avenue to one-up themselves on their Halloween displays from the previous years. Everything from pyrotechnics to extreme acrobatic stunts to little person wrestling has been rumored to be on the agenda before being axed at the last minute for one reason or another. I believe I have the correct information for this year’s production, but will not ruin it by giving it away here. You will just have to show up and experience Eucalyptus for yourself. Being there on Halloween has become a truly unique San Carlos experience.